Ceiling fan. It works at three configurable speeds by means of chains located in the structure or by remote control (not included). It has a winter / summer function and three lighting points. Its brown finish is ideal to place it in rustic style rooms: dining rooms, living rooms, bedrooms...Dimensions: High 60 cm. Diameter 120 cm. 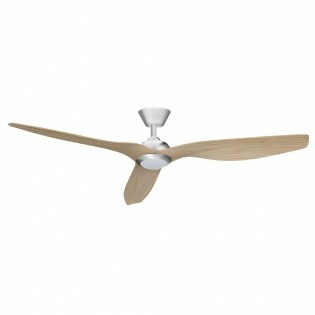 Ceiling fan, reversible blades (cherry and walnut or silver and beech) and inverse function to regulate the temperature in winter and summer. It has chains to turn it on and regulate the speed, also by remote control (not included). Lighting available through light bulb (not included).Dimensions: Heigth 40 cm. Diameter 107 cm. 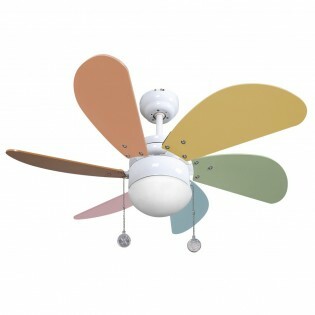 Ceiling fan colorful and very cheerful with blades in yellow, green, orange... ideal for children's rooms. Powered by chains or remote control (not included). Lighting point in the center of the structure. Its summer / winter function will allow you to enjoy its benefits in both seasons. Dimensions: High 34 cm. Diameter 77 cm. 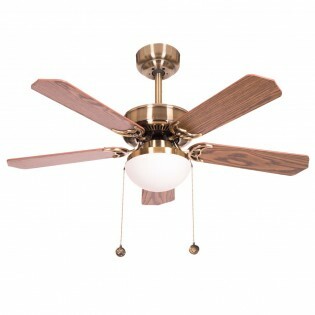 Ceiling fan with a point of light in the center of the structure, six blades in different colors and six-speed operation that you can configure using chains (optional remote control). It also has an inverse function, to cool the room in summer and heat it in winter. Ideal for children's bedrooms. Dimensions: Heigth 34 cm. Diameter 77 cm. Ceiling fan Eolo with four reversible blades and different finishes depending on the model: with structure in nickel and blade in wenge and beech, structure in nickel and blades in silver and beech and structure in black and cherry and walnut blades. Two lighting points (bulbs NOT included). Dimensions: Heigth 40 cm. Diameter 112 cm. 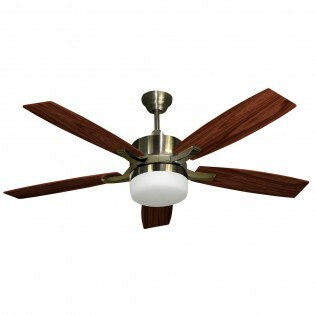 Ceiling fan with reversible blades in cherry and walnut and structure in leather color. It has two chains to start the fan (also operated by remote control (not included)). You can ligt up thanks to its two points of light (bulbs not included),Dimensions: Heigth 40 cm. Diameter 107 cm. 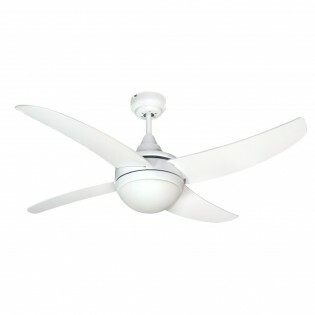 Ceiling fan with DC engine (silent and minimum consumption) and LED lighting of 15 W integrated. Ideal for decorating rooms, bedrooms... With the remote control you can control the speed (six positions). Various finishes available: white, silver, cherry or beech.Dimensions: Heigth 40 cm. Diameter 132 cm. 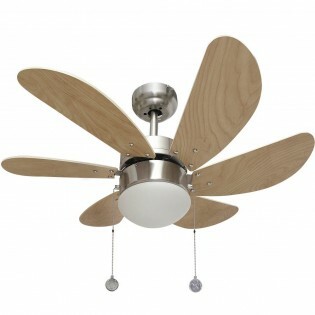 Ceiling fan of modern style with LED lighting of 36 W. The blades are deployable. 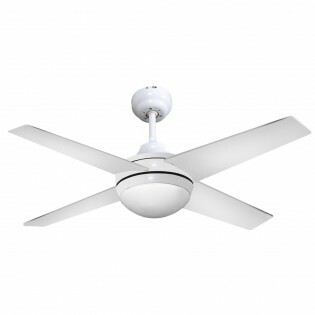 Includes a remote control with which to regulate the speed and operation of the fan. Ideal for living rooms, dining rooms, bedrooms... Dimensions: Heigth 44 cm. Diameter (open) 107 cm. Diameter (close) 55 cm. Ceiling fan with LED lighting. 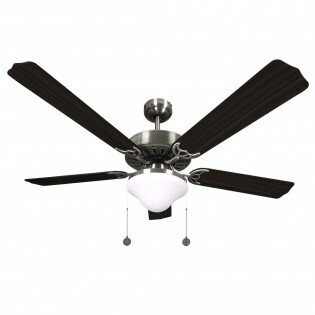 This ceiling fan has 4 blades and inverse function for use in summer and winter. The lighting that integrates is LED with 20W of power and 1800 lm of intensity, neutral light of 4000K. Ideal to place in any modern room where we want lighting and regulate the temperature of the room.Dimensions: Heigth 44 cm. Diameter 132 cm. Ceiling fan with reversible blades made of wood and available in various finishes: white, silver and beech, wenge and cherry or cherry and walnut. It works with remote control (included) to configure the speed (three positions) and inverse function. Ideal also to light up the room (two points of light).Dimensions: Heigth 40 cm. Diameter 117 cm. Ceiling lamp Aberdeen with adjustable height. You can adapt it to your dining room, living room or bedroom. Large diameter lampshade made of fabric with chrome circle on the bottom and main part of fabric available in two finishes: white or black. Dimensions: adjustable height. Diameter 50 cm. Ceiling lamp from the Adarve collection. 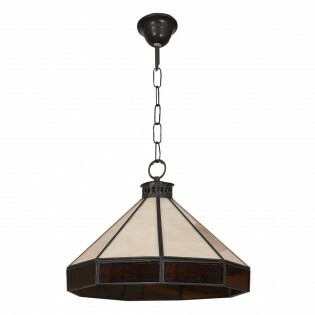 Rustic style ideal for lighting kitchens, living rooms or dining rooms with brown, beige and glass lampshades. Its design resembles a pyramid. Ideal to be used as the main light of your room. 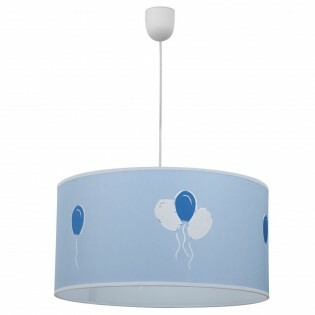 Two sizes available.Lampshade sizes: Height 27 cm. Diameter 29 cm. Ceiling lamp from the collection Alejandria with white lampshade and grey upper part. Metal manufacturing. An industrial-style design ideal for lighting kitchens or even bathrooms or outdoor areas thanks to its IP44 (protection against dust and water).Dimensions: Adjustable height. Diameter 31 cm. Ceiling lamp from the collection Arezzo. Ideal vintage/retro style to give a very attractive touch to your kitchen or dining room. Metal construction with black finish and handle on top. Dimensions: Adjustable height. Diameter 31 cm. 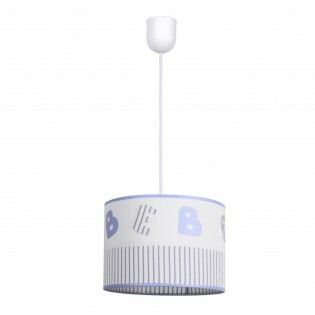 Ceiling lamp with initials of the word Baby and striped decorations. Main metal structure with white finish and fabric shade in several colors: light blue, pink or camel. Choose the one you like best. Ideal to light up the bedroom of children.Dimensions: Adjustable heigth. Diameter 30 cm. Ceiling lamp available in leather or chrome, two elegant and modern finishes. The main structure is metallic, with fine corrugated bars linking to each other. Three lighting points with lampshades formed by grid structure and small crystals embedded in them. Ideal for living rooms or dining rooms.Dimensions: Height 40 cm. Width 54 cm. Ceiling lamp Bola with lampshade in the form of a white sphere decorated with clouds in different colors: pink, blue or lilac. Three models to choose from. Ideal to light up the room of the smallest. You will be able to adjust the height to adapt it to the space.Dimensions: Adjustable heigth. Diameter 30 cm. Ceiling lamp Ballet. It will fit ideal in rooms of classic style but with a modern and renewed air. Adjustable heigth. Large diameter lampshade made of fabric and metal main part. Various finishes available: full finish in grey, leather and brown or brown and beige (see pictures). You will love any of them.Dimensions: Heigth regulable. Diameter 50 cm. Ceiling lamp with very funny balloons on the whole lamp shade. Available in several colors: pink, lilac, light blue or stone. Its dimensions are enough to project a complete light to the room. The height is adjustable.Dimensions: Adjustable heigth. Diameter 35 cm. Ceiling lamp Brooklyn with industrial style design for kitchens, dining rooms, living rooms... ideally placing several lamps of this collection online. It has a handle at the top of the lamp shade, and cylindrical perforations at the bottom. Two models available in two finishes: chrome or white.Dimensions: Heigth regulable. Diameter 17 cm. Ceiling lamp Button in bright and cheerful colors with floral decorations that will delight the little ones of the house. Several models available: finished in pink, green, blue, beige, lilac or light blue. Ideal to use as general light in the bedroom. Dimensions: Adjustable heigth. Diameter 35 cm. Ceiling lamp Carlson with original design lampshade made of black metal and cube shape. It leaves the light bulb completely visible providing a vintage or industrial style to your room. Adjustable height to adapt it to your kitchen, dining room...Dimensions: Adjustable height. Width 22.5 cm. Ceiling lamp Cedro with materials and design typical of rustic style. Composed of triple metal chain, rounded resin base and three candle-shaped lighting points. Ideal for mountain apartments, it will bring a unique and different style. Dimensions: Heigth 50 cm Width 52 cm. Ceiling lamp with brown resin base, black metal chains and six light points in a candelabrum shape. An ideal design to place in rustic style spaces. 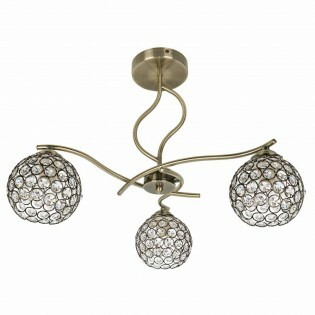 Provide fantastic general lighting in your dining room, living room or bedroom. Dimensions: Heigth 50 cm Width 52 cm. Ceiling lamp of the collection Colonia. Two points of light with lampshades of different shapes and finishes. Chromed main structure and shades in two color combinations: white and grey or beige and purple. Ideal for modern rooms or with an alternative touch.Dimensions: Heigth 31 cm. Width 47 cm. Ceiling lamp with vintage style design. Composition with metal bars in black forming a cage design. Ideal to light with decorative bulb creating a soft and cozy light effect. Adjustable height so you adapt it easily to your space. 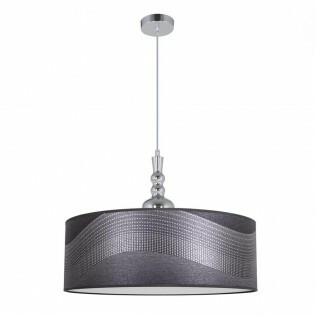 Ideal for lighting kitchens, dining rooms, living rooms...Dimensions: Adjustable heigth. Diameter 20 cm. Ceiling lamp Danilo with a modern and simple design ideal for lighting all kinds of decorations. It is made of black metal with small openings in the upper part of the lamp. Ideal for the kitchen, placing several lamps the same or on the dining table.Dimensions: Heigth 40 - 115 cm. Length 31 cm. Width 31 cm. Ceiling lamp Darwin with rectangular lampshade made of nacre, a beautiful material typical of classic style. The two small decorations of the same material round off the design. The height is completely adjustable and the lamp can be adapted to different types of space. Ideal for living rooms or bedrooms. Dimensions: Adjustable Height. Width 45 cm. 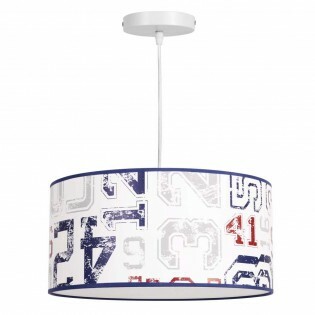 Ceiling lamp with decorative frames at the bottom and top available in two colours: blue or red. The height is adjustable and the lampshade has a diameter of 35 centimeters perfect for providing optimal general lighting to the children's room.For the red colour, contact us. Dimensions: Adjustable height. Diameter 35 cm. Ceiling lamp Dumont of retro vintage style ideal for kitchens by placing several of them in series. Manufactured of metal, two colours available: chrome or copper in a very nice shiny finish. 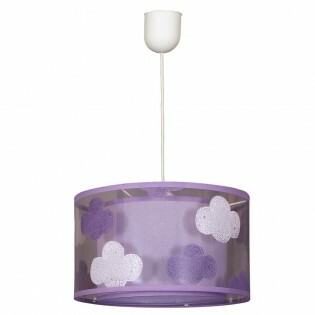 Its design with a flat lampshade gives it style and originality.Dimensions: Heigth 50 cm. Diameter 35 cm. Ceiling lamp Edison with large diameter lamp shade, ideal for general lighting of your dining room, living room or bedroom. You will be able to adjust the height. Made of metal and available two models with two different color combinations: black and gold or white and gold. Dimensions: Heigth regulable. Diameter 33 cm.